There is currently a WhatsApp bug that is making rounds on social media. The bug allow the users you’ve blocked to send you who blocked them messages and we are not happy about that. The problem appears to go away if the person is unblocked and then blocked again. But many users might not be aware of it: the bug not only allows people to send messages, but also to see people’s status and profile details. There are many reasons for blocking a particular person and not wanting to receive messages from them. It could be psychologically damaging if all of a sudden you were to receive messages from an ex-girlfriend or baby mama, business partner making threats. Or perhaps someone is stalking you and you really don’t like being stalked. Receiving messages from such a person after you’ve blocked him/her could be emotionally draining. 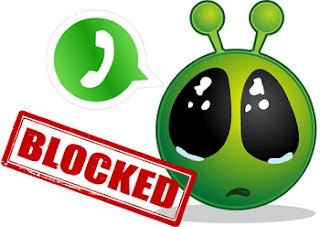 WhatsApp allows its users to block any particular contact, banning them from ever sending messages. Such tools are of particular use to people who have been in bad relationships. WhatsApp Inc has not issued any statement or a temporary fix about this bug and users are complaining all over social media. The bug currently is affecting iOS and Android users and we are guessing its from WhatsApp server.